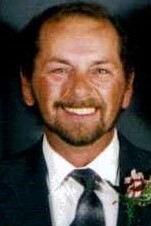 Robert Earl Barthell, 65, Two Harbors, died Thursday, March 21, 2019 at Chris Jensen Health and Rehabilitation in Duluth after a battle with lung cancer. He was born November 15, 1953 to Milton and Blanche (Wells) Barthell in Owensboro, Kentucky. He grew up in Hoffman Estates, Illinois where he attended Twinbrook Grade School, Helen Keller Jr. High and Conant High School. Bob worked in the construction industry and later was self-employed, operating Barthell Painting. He enjoyed walking, playing pool and motorcycles. He is preceded in death by his parents; wife, Karen; brother, Jerry; and sisters, Billie Jean and Kathy. Bob is survived by sons, Robert (Amy) F. Barthell and Andrew W. Barthell; grandchildren Riley, Savanna, and Dominic; sisters, Pam, Bonnie, and Debbie; brother, Dave; sister-in-law, Carmen; special niece Lula (RJ) Matlock and their children Ricky and Ryan; and many nieces, nephews, extended family, and friends. The family would like to thank the staffs of Chris Jensen and St. Luke’s Hospice for their care. Services will be held at 11 AM on Saturday, March 30, 2019 at Living Waters Fellowship in Two Harbors.